Husband and I went to the IMAX theatre and saw Gravity the other night. He loved it, but immediately came home and started Googling all the technical inaccuracies in it. Geek boy. He’s since fallen in man love with astrophysicist Neil deGrasse Tyson, who saw the 3D space epic on Sunday and, while he “enjoyed Gravity very much,” couldn’t help going home and picking it apart on Twitter. Me, on the other hand, I couldn’t stop thinking about Sandra Bullock’s thighs. Mysteries of #Gravity: How could a 49-year-old have such amazing legs? Mysteries of #Gravity: How could a dark-haired middle-aged woman of teutonic extraction be so hairless? 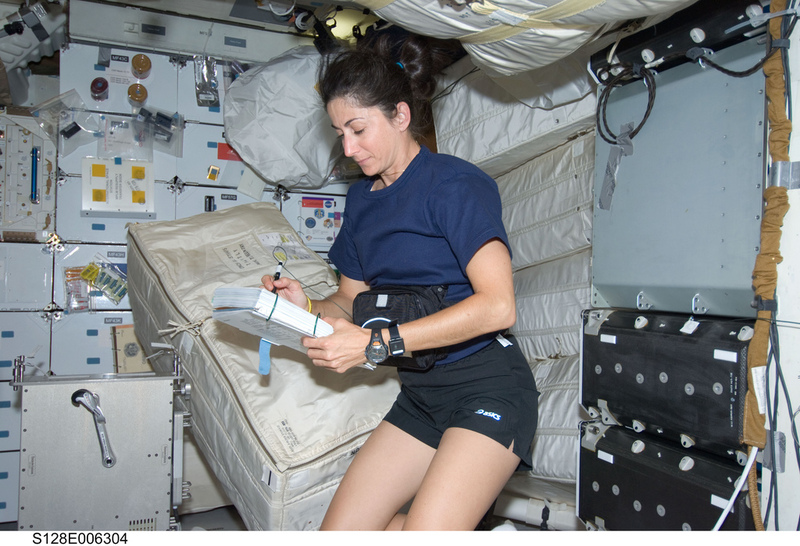 Mysteries of #Gravity: How could a female astronaut do such a thorough hair-removal job in space? There’s also the daily workout of hefting around her sizeable three-year-old Louis. But still, she’s almost freaking 50. Bloody unbelievable. She looks like she packed a few razors in her astro toiletries bag. PS As for what I thought of Gravity, it was pretty seat-grippingly good. But I’ve described it as the Babel of Space. As in … after watching Babel I am NEVER EVER travelling through remote parts of Morocco and after watching Gravity I am NEVER EVER travelling in space. This entry was posted in LIFE and tagged Sandra Bullock. Bookmark the permalink. I’m a fan of Sandra. She’s just so likeable. As for hair removal, I find it difficult enough here on earth! I know! Imagine doing it in zero gravity! Problem is, I get claustrophobic imaging being in a space suit and not being able to breathe (I have waves of anxiety just writing those words). Well, you might be best avoiding Gravity Geoff, it is HIGH ANXIETY territory. But really good. Ha, still making me laugh. I’m back my gorgeous gal. Will be checking in with you all the time, watch out. I wasn’t racing out to see this one but you have me intrigued now. I’ll just try hard not to think about the science. George Clooney is usually good at distracting me from serious thought. She has runner’s legs. And that’s a major accomplishment and compliment.